Banns of Christchurch, Cwmaman during October 1854 indicate the marriage of David Davies and Hannah Davies, both resident in that parish. In the 1861 census the family are listed at Clynboidy Cott, Llanguicke with Hannah (the mother) as having been born in Llandilo parish. She is given as 31 while David (the father), a coal miner, is given as 28. Immediately after the households in Clynboidy Cott, the next census listing is for the Crown Inn (now Park St, Amman Road, Brynaman). Clynboidy is a corruption of Glyn-y-beudy, the old name for the area that became Lower Brynaman. Bu farw Mrs Hannah Davies, Neuadd Terrace, yn 77 mlwydd oed, dydd Gwener, Mawrth 19eg. Yr oedd yr ymadawedig yn barchus iawn, ac un o blant yr ardal. Dydd Llun canlynol, daeth tyrfa luosog yn nghyd i ddaearu ei rhan farwol yn mynwent Gibea, pryd y gwasanaethwyd gan y Parch W.D. Thomas, Gibea. Gadawodd amryw o blant a pherthynasau i alaru ar ei hol. 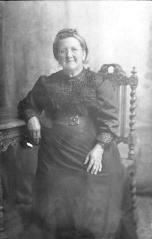 Jemima(h) Davies (1856-1928) married Thomas Jones (1854- ) - See The Family of Thomas and Jemimah Jones. Mr. John Davies and family, Park-street, returned home from West Australia last week. 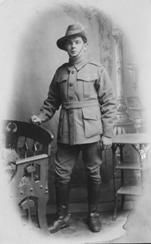 The son is with the Australian Expeditionary Forces, Egypt. Fred Harries (1897-1963) born 27 February 1897. 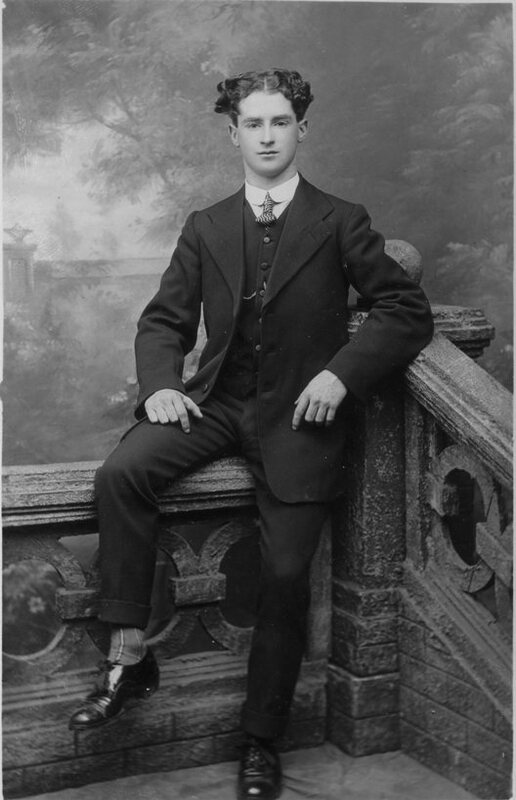 Left school 'for colliery' in 1911. His wartime enrollment took place on 13 April 1916 when he was described as 5' 5" tall, 33.5 inch chest, dark brown hair and brown eyes, fresh complexion. Religion - Congegationalist; Swim - No; Civilian employment - Pianist; Address - 35 Brynamman Road, Brynamman, Carm. RNVR Wales Division, Signals. On 20 May 1916 he was attached to Seamen Unit MZT/1110 'Seamen Rating Battalion'. 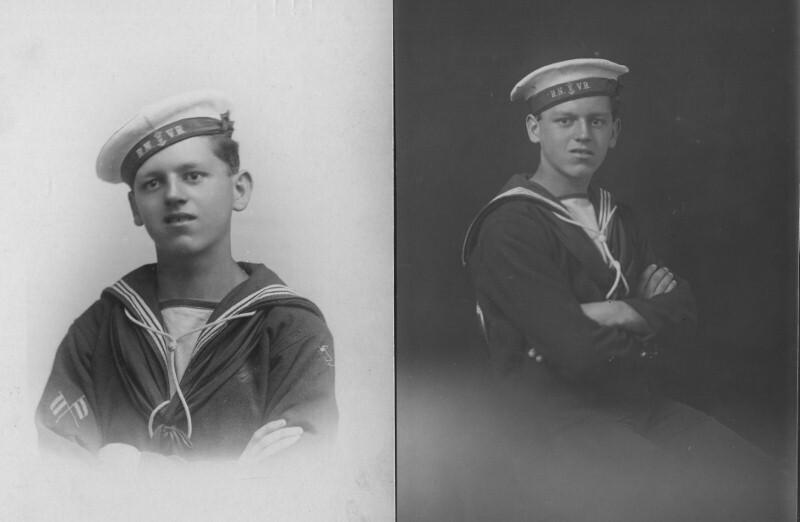 He served with HMS Sandhurst, a repair ship, from 13 October 1916 to 22 February 1919 when he was discharged. He was given a rating of VG character throughout his service. Family memory asserts that later he was an organist at the Manchester Hippodrome. He married Jenny Bowen (1898-1981) in 1920 and had two daughters including Valerie Harries (1923-2013). Valerie married Derek Herbert Emery (1925-1995) and had two daughters. Fred died in Withington Hospital, Manchester on January 30 1963 while resident at 33 Monica Grove, Levenshulme, Manchester. Margaret Ann Harries (1899- ). Born 22 February 1899 according to Banwen School records. Left school for 'home service' in 1913. Evan Harries (1901-1976). Born 23 March 1901 according to Banwen School records. 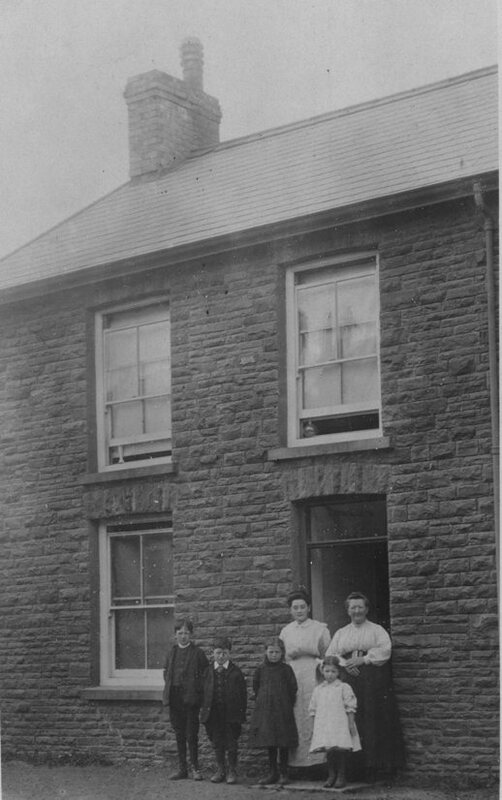 At 35 Neuadd Terrace in 1908, left school 'for Colliery' in 1915.